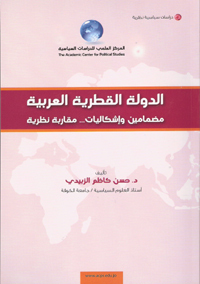 The book "The Arab state: the contents and the problems ... theoretical approach," Dr. "Hassan al-Zubaidi," which was issued by the Scientific Center for Political Studies / Jordan, one of the most prominent books theory that dealt with the concept of the state, where he focused on the concept of the state as one of the concepts that contradict around views, has the goal to search in a problematic concept plaguing the state, which was established characteristics and traits, trying to explain the reasons and motives of the crisis suffered by the State of Qatar. Chapter I accept the concept of the state, the most important insights and eat around it, as Me Chapter II concept of the state in the Arab world - Islamic, and Chapter III tried to diagnose problems that hinder the concept of the state of Qatar. The study found that the state in the Arab world suffers from deficiencies in the concept and content, Vmvhomha encountered a number of problems gain privacy, and make him suffer substantive shortcomings, and the Arab Thought distanced aside from the state; was not addressed in the analysis that it deserves. Also, the birth of the nation state in the Arab world reflected the elements of a structural crisis; due to conflict with history, geography, ideology, and the most important of these elements search for legitimacy, as well as the political vacuum and the authoritarian and institutional and administrative bureaucracy, so the state project Qatar came to fill this void, and it was construction of power by the state, as a key tool to impose the hegemony of the state and extend its influence in the community. 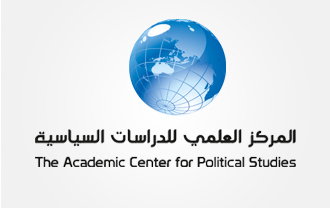 Author concludes that, although the Qatari state the moment of birth, seen as a tool to achieve independence and unity, but after a short period of time are keen to perpetuate its existence independent, and claimed the thought looking for theories allow the use of the national state as a tool to achieve that sustainability. On the other hand, the Arab state under the pressure of growing popular demands for greater participation in the proceeds of Independence and the fruits of development and natural resources, reneged to create mechanisms and justifications for the postponement of those claims, and accepted the dependence of the crisis. So failed state in the country out of the problems that ruled the concept, did not succeed in establishing her theory hypotheses establish a better future in which the state is gaining new features make it closer to a modern state based on the concepts of citizenship, participation and accountability and the law.